Imagine you got sick and just took out your smartphone. You search for a doctor anywhere in the world, book appointment and consult the doctor directly on your phone, all without having to go anywhere. This interesting bit of science fiction is now a reality courtesy of an innovative free smartphone app called Hudibia. The Hudibia app is available for iPhone and Android phones. It is thoughtfully designed to cater to common healthcare challenges. It serves as a digital health assistant by providing direct access to information on common healthcare problems, conveniently providing audio translations in multiple languages for those unable to read. Direct access to specialists is provided with remote consultation within the app. For example, an individual living in London, U.K., can pay the medical bills of their mother in Lagos, Nigeria is sick directly on the app. 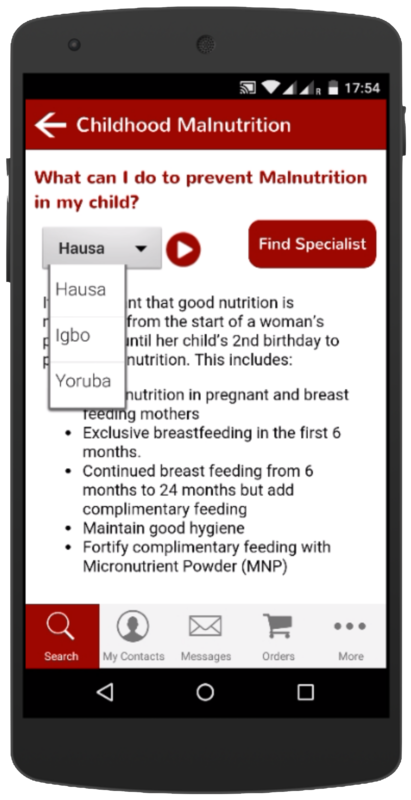 You can use the app to locate a doctor in Lagos and pay the doctor’s fees. All your Mum has to do is go to the doctor and receive the appropriate treatment. Conversely, parents in Nigeria can locate and pay doctors’ fees for their sick children studying abroad. You can even use the app to find a doctor if you get sick while traveling overseas, or make an appointment to see a doctor located in another country for a second opinion or specialist care. Consultation can be in the doctor’s office or online using a secure video consulting platform. You can search for hospitals and book appointments with a doctor in the hospital. You don’t have to worry about quacks as both the hospitals and doctors will be rated and continuously monitored by the Hudibia team, to ensure they maintain high standards of medical care. Also Hudibia can be used to pay for regular medications either locally or abroad with monthly home delivery from designated pharmacies where available. Doctors can also request specialist opinion from their colleagues. Hudibia is also recruiting doctors that can go directly to patients’ homes for those unable to get to the hospital. The medical records and investigations are portable and can be securely transmitted to any doctor in the world in case a second opinion is required. The Hudibia team is also currently working with medical missions to Africa so that after the missions, they can use the app to monitor their patients. The app will also be used to offer trainings to local healthcare workers. “We have already demonstrated the use of this technology in Africa” said Dr. Ahjoku Amadi-Obi, the Nigerian-born Physician/Scientist and research fellow in telemedicine who is the founder of Hudibia. Dr Amadi-Obi’s team based in Dublin, Ireland was able to diagnose ear disease in real time on a patient 3200 miles away in Lagos, Nigeria. 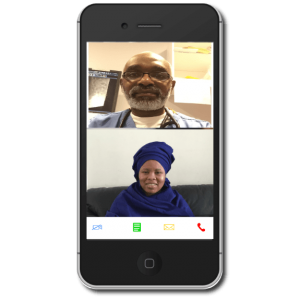 Their finding was presented at a prestigious international conference of the American Telemedicine Association in Baltimore, U.S.A. in May, 2014. Hudibia is currently working with select pharmacies and diagnostic centres to integrate prescriptions and investigations, creating a more complete medical platform. They are also designing mobile rapid response units that can be deployed quickly in any environment. They intend to work with state governments in Nigeria to deploy these units in remote rural areas that are inaccessible to modern healthcare delivery. These units will also be particularly suited for use during major medical emergencies such as natural disasters and infectious epidemics. The Hudibia app is currently available and free for iPhones and Android phones such as the Samsung galaxy. Hospitals can register on the website, www.hudibia.com. So He Found A Cure For HIV? ROWLAND FRIDAY on So He Found A Cure For HIV?